Sugar lurks in some surprising places, such as condiments and prepared foods, so it’s easy to overdo it. 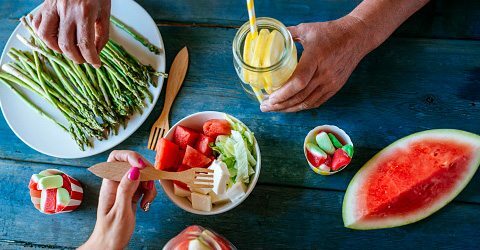 However, the right amounts of sugar from natural sources such as fruit and even vegetables are necessary to good health, so how much is too much, and what’s a healthy sugar versus an unhealthy one? The World Health Organization suggests that sugar shouldn’t exceed 5 percent of an adult’s daily calories, so for a 2,000-calorie diet, that would be 25 grams or less. Yet the average American consumes approximately 82 grams every day. Women should have no more than 25 grams, or six teaspoons, daily, whereas men can have up to 38 grams, or nine teaspoons. Too much sugar is associated with an increased risk for type 2 diabetes, obesity, and cancer. 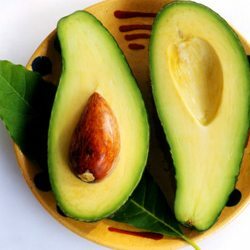 Eating sugar with protein, fiber, and healthy fats such as avocado “blunts the insulin response, keeping your blood sugar more balanced,” says Reames. Artificial sugars such as aspartame, found in sweeteners, as well as packaged foods labeled “reduced sugar” or “sugar free,” aren’t doing you any favors. Artificial sweeteners impair the gut’s healthy bacteria, which influence metabolism. “You’re better off getting your sugar from foods that don’t require any packaging or labeling, such as anything found in the produce aisle at the grocery store,” says Reames. 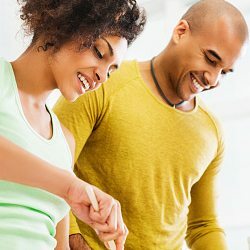 The best way to stay on top of how much sugar you’re actually eating isn’t to carry a calculator and count teaspoons or grams all day, but to go through your refrigerator and cupboards and see what you’re actually eating. “If it’s not in your environment, then you’re not going to eat it,” Reames says. Ketchup, mustard, barbecue sauce, pasta sauce, and salad dressing are loaded with sugar. Ketchup alone is 1 teaspoon of sugar per 1 tablespoon of ketchup. A four-ounce pina colada contains a whopping 28 grams of sugar, while a five-ounce glass of red or white wine contains about one gram of sugar derived from grapes, as opposed to an added sugar. If you’re concerned with your sugar intake, it’s always good to go with water over fruit juice or smoothies, which are often sugar bombs; a restaurant fruit smoothie may contain 45 to 63 grams of added sugar. Try honey or agave, rather than processed sugar that you spoon from a bowl. Once you start watching your sugar intake on a regular basis and stock your kitchen with different types of ingredients, you’ll see some head-to-toe changes, inside and out. Moreover, on the outside, the integrity and elasticity of your skin improves because sugar can dry the skin, while on the inside, your mood also improves. People who have chronic joint pain may also experience less inflammation when they reduce the amount of sugar they consume, says Reames.